DISCLAIMER: I understand this will be a controversial topic, and I fully understand what I am saying. This is just what I have noticed within the game as I tend to notice, particularly on df/pf decent+ tanks and healers and Mediocre to absolutely terrible DPS. I am not being elitist, and I can understand if you interpret that from this post. I don’t want every DPS to be raid class 1st world pusher, I just feel this is a problem within the community that I feel that I should high light this. Throughout all of the game, and after quite a while of playing and from what I’ve been reading, is that to me, I have noticed that there’s a DPS double standard that I see in-game and from what I have read from different forums and from what I have heard from my friends. What do I mean by this? That DPS are much more likely and have it easier to get let off the hook than tanks or healers, and are able to get away with doing stuff that tanks or healers wouldn’t be able to even dare attempt to do (such as coming in under geared, not knowing half of how to play their job, or scratch that, even their role). But why do people take this attitude? Well, it seems to be the case that tanks and healers are by far the most important roles when it comes to dungeons or trials (raids do count somewhat, but that’s not what I want to talk about, as this is in general, and if you want to do raiding, you need to be at 100% of your game to even consider doing it) while DPS has the least responsibility out of the 3 roles. While this is basic knowledge, this is really important to consider. But where does this double standard come in? This is where the 1st point I am going to make. 1: The General Apathy of the population to underperforming DPS. In grouped content, the tank has to hold threat, healers have to heal, while the DPS has to DPS. 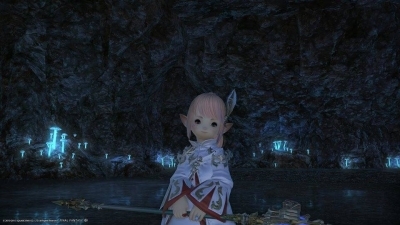 If the group is failing, because the tank cannot hold threat, then that’s no longer a tank, so the tank’s called out on it, while the healer that cannot heal is no longer a healer, so the same applies, while the DPS that cannot DPS, is still doing DPS. This where it becomes obvious, because we as a community cannot allow bad tanking or bad healing to slide by us, while with bad DPS, we go “Eh, could have been faster, at least I don’t have to see them again” and we just treat the bad DPS as another bad player that they hope to never encounter in the future again. This brings me to my 2nd point. While raids are the only place where this is equal when it comes to all 3 roles being treated fairly, outside of this content is where the disparity between the 3 roles are highlighted. Take for example Bismarck EX. If the tank cannot tank, the adds get out of hand and kills the healers, forcing a wipe, if the healers cannot heal, they cannot cope with the weather mechanics and adds which gets people killed, while for the DPS if they cannot DPS, adds die slower and so does the carapace. However, while this seems equal, also consider this. Because of how the game is structured, and the ease of gearing up, the DPS are able to better their DPS just through sheer weight of gear, making the DPS check of Bismarck EX less and less harder to do. While this is somewhat true for the tanks and healers, they can help contribute to the DPS check, and while they still benefit from gear, it does not improve their skill at the job, as gear can only do so much, it’s up to the player’s ability to do their role. For the DPS, as they are always doing their role, over gearing boosts their DPS and survivability, allowing them to do their job much more effectively regardless of their skill. While they may not be the first to clear, they can still clear eventually than bad tanks or healers who have a much harder time doing so, because of said skill that requires the tank and healer to bring. Both of these are related, but different, but they both deserve to be talked about at the same time. To go with being carried thanks to over gearing, but also to the fact that, unlike tanks and healers, DPS aren’t as hounded upon by the population than them. This is because they are far more noticeable than DPS, and that more often than not, the whole success of anything outside of raid depends more on the tank and healer than anything else. 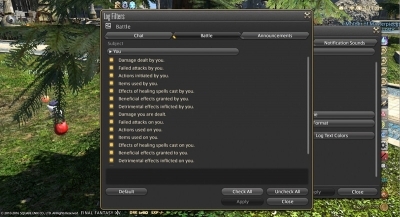 Because of the paradox of the DPS that can’t DPS is still DPSing, many people over look this, because as stated in point 1, people just have a general apathy over DPS, because as long as the dungeon is cleared, DPS are able to get away with putting in much effort, as such, unlike the hounded tanks and healers who are forced to get better or they cannot progress, DPS can make little improvement in their performance and just go about just fine. Because of how the game is structured, anything in casual content that has a DPS check is largely irrelevant, because the tanks and healers (possibly the other DPS too) can make up for the lost DPS that was meant to be given out by that sole DPS. As many mechanics for DPS is mostly 1. Survive and 2. 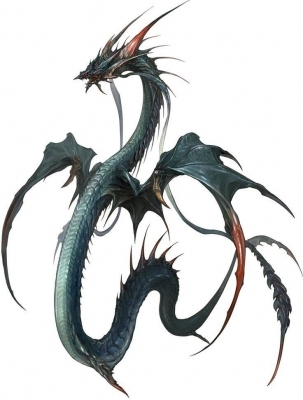 DPS, this gives DPS little responsibility in the party, and makes their actions less accountable, as tanks and healers have to go through mechanics that DPS can easily ignore, focusing more of the actions on these roles than others. Because of the fact that nobody can see DPS, means that it takes a lot more effort focusing on what the DPS is doing rather than the tanks or healers. This results in, while how few tanks and healers are, but on average they tend to be decent or better, DPS ends up much poorer on average as a result of this. With poorer DPS, it puts more pressure on the other members of the group to put in much more work than what should be expected of them, which means that to increase the chances of success/ make a slow run go faster, the tanks and healers have to chip in, putting themselves more at risk by doing the job the DPS should be doing. Tell me what you think about my post and discuss what you think about my observations. Does this make sense, does it not, or could there be something that I’m missing from my observations. 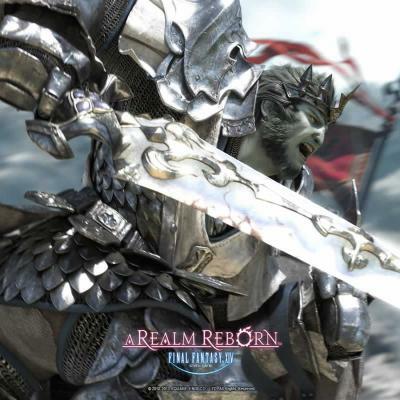 It's been three years since Square Enix relaunched Final Fantasy XIV as A Realm Reborn and the MMO is celebrating with The Rising, an in-game event. 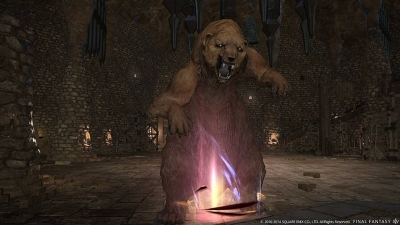 From Saturday, August 27 to September 12, players can speak to the Crystal Caravan Leader at the Steps of Nald in Ul'dah to gain access to a host of the in-game items. 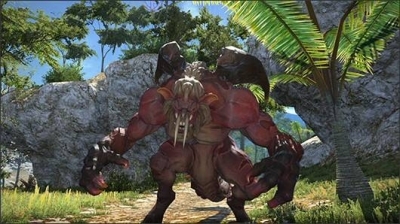 Square Enix is also planning a 14-hour livestream event for the anniversary, starting on Friday, August 26 at 8 pm (PDT). It's commonly known that NA servers use the duty finder for learning groups and PF for farm whilst in Japan servers it's reversed due to various reasons, one being culture.